To match the Chole round table is this chair. 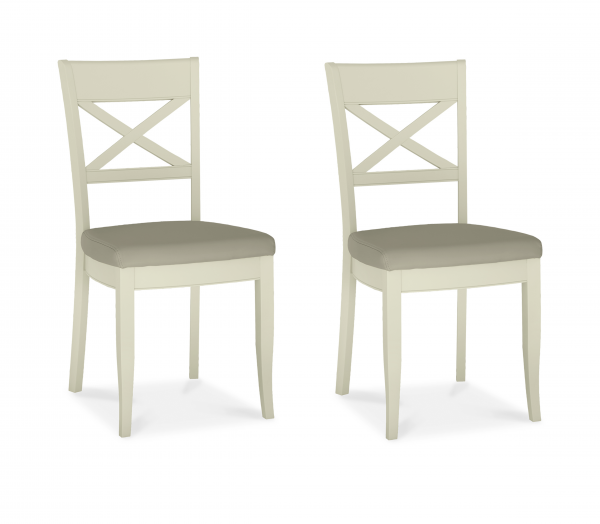 This Chair brings a classic look with the a cross back design and the grey tone seat creates a beautiful contrast. Includes 2 chairs.